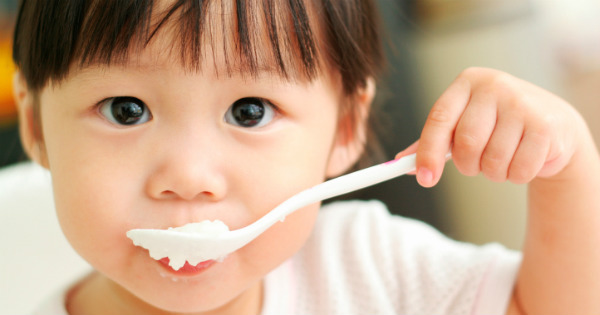 What do kids across the world eat for breakfast? When your kids are picky eaters, even getting them to eat plain old Weet-Bix or toast can be a battle in the morning. So what if the dish was a little more exotic – fermented soybeans or fish stir-fry, anyone? Yes, really – you’d be amazed by what kids around the world eat for breakfast. But if you consider that one of Australia’s most-popular brekkie staples – Vegemite – is essentially leftover brewer’s yeast (no wonder the unfamiliar turn their noses up at it! ), maybe these other foods won’t seem so unusual after all. The New York Times Magazine recently published a fascinating series of photos of children eating their typical breakfasts in seven countries from Iceland to Malawi. In Japan, for example, one of two-year-old Saki Suzuki’s favourite breakfast dishes is natto, a fermented soybean dish the magazine says smells a bit like “canned cat food”. She vomited when she first tried it at seven months old. Now she enjoys it, along with her other traditional breakfast items of white rice, miso soup, squash cooked in soy sauce and sweet sake, rolled egg omelette, grilled salmon and pickled cucumber. In Turkey, eight-year-old Doga Gunce Gursoy’s breakfast menu includes honey and clotted cream on toast, olives, fried eggs with spicy sausage, white radish and a paste made of grilled red peppers. In Iceland, a typical breakfast for three-year-old Birta Gudrun Brynjarsdottir includes a dose of cod liver oil – also routinely dished out at many of the country’s daycare centres and pre-schools. Seven-year-old Emily Kathumba of Malawi enjoys cornmeal porridge, corn fritters and boiled root vegetables, washed down with sweet black tea or juice made from dried hibiscus flowers and sugar. 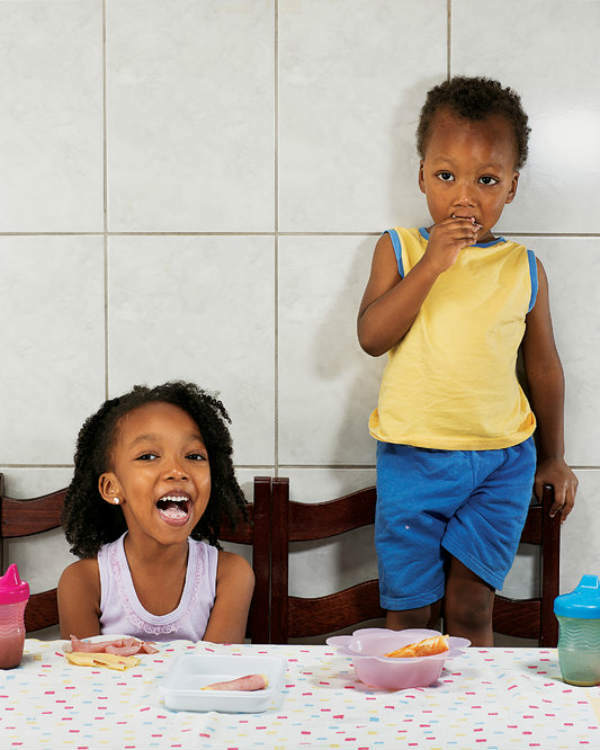 The drinks of choice for Brazilian siblings Aricia Domenica Ferreira, 4, and Hakim Jorge Ferreira Gomes, 2, are chocolate milk and coffee respectively. According to the magazine, coffee is a cultural tradition and many parents believe a small, milky cuppa helps their children concentrate at school. They drink it alongside ham, cheese, bread and butter. The international breakfast most likely to be snapped up by kids across the globe would be that enjoyed by Dutch five-year-old Viv Bourdrez. It’s bread or a round rusk, covered with sweet, coloured or chocolate sprinkles or shavings. 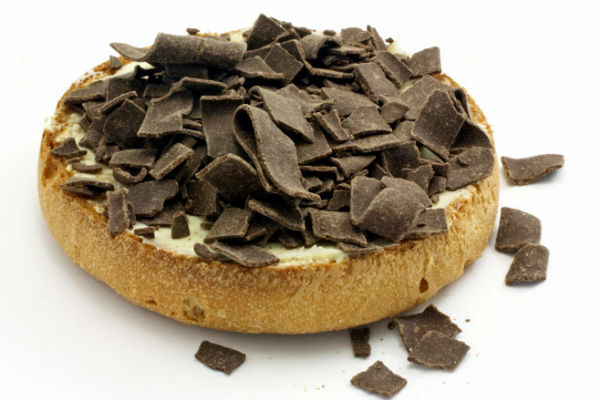 The magazine says the Dutch go through at least 750,000 slices of bread topped with chocolate “hagelslag” each day. As the daughter of a mother with Dutch heritage, I can say with absolute certainty that this breakfast is as yummy as it sounds! Take a look at The New York Times Magazine‘s special report for more weird and wonderful breakfasts from across the globe. Would your child eat any of these? Do you have any adventurous foods on your breakfast menu? Tell us below.